Our Boston car accident attorneys recently discussed the dangers that come along with Daylight Saving Time and with the sun setting sooner in the day. We would now like to discuss a recent episode of HEALTHY VISION with Dr. Val Jones. She recently spoke with optometrist Dr. Cristina Schnider and John Ulczycki of the National Safety Council to talk about the dangers we face on our roadways during evening driving. The reduction in visibility with nighttime driving brings about increased risks of a car accident in Boston mainly because of how our eyes work. When our pupils enlarge because of low-light situations, the focusing mechanism needs to work harder. When there’s not much to focus on, as is typically the situation at night, our eyes rapidly move around looking for something to focus on. This can cause drivers to overlook important details on the roadway. Sometimes the eye will focus on the windshield for instance, ot the glare or bugs on the windshield. This is not a good thing. Schnider recommends that drivers continuously look left and right scanning the roadway to allow your eyes to focus in on the important factors. This may sound odd, but Schnider also reminds drivers to remember to blink. Drivers tend to keep their eyes open for a longer period of time while driving during the night in an attempt to better focus on things. 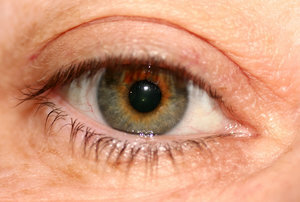 The lack of blinking can cause eyes to dry out. Air conditioning and open windows can also cause your eyes to dry out, which can negatively affect your vision. You’re also recommended to take frequent breaks when driving at night, and for long road trips if possible have another licensed driver with you to share the driving duties if needed. Drivers can strain and dry their eyes while driving for long periods of time in the evening hours. Your risk for being in a car accident during the evening is three times higher than your risks of getting into an accident when it’s light out, according to Ulczycki. He says peripheral vision is greatly reduced when we drive at night because our eyes are so busy focusing on what’s directly in front of us. He notes that about 25 percent of travel happens during evening hours and nearly 50 percent of fatal accidents happen during the nighttime. He says that drivers oftentimes have a misconception of risk at night. He says because drivers are unable to see risks as well during the night as they are during the day, they believe that the risks aren’t there. The truth is that the risks are still there and drivers need to adjust their driving to compensate for this reduction in visibility. Keep your eyes moving, keep looking around and keep it cautious to avoid a risk nighttime driving situation. If you or someone you love has been involved in a nighttime car accident in the Greater Boston area or elsewhere in Massachusetts, contact The Law Offices of Jeffrey S. Glassman for assistance. Call for a free and confidential consultation at 1-877-617-5333.